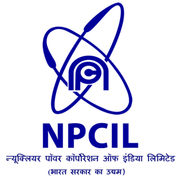 NPCIL Recruitment 2018 - Apply Online for 94 Dy Manager & JHT Posts in Department of Atomic Energy, NPCIL. Online Applications are invited by Nuclear Power Corporation of India Ltd. (NPCIL) from 04 Dec 2018 10:00 AM to 19 Dec 2018 05:00 PM for 89 vacancies. Relaxation in upper age limit will be given as per Govt. Jobs. Master Degree of a recognized University in Hindi/English, with English/Hindi as a main subject at Degree level.